People like you and me get into programming because we love the challenge, we are excited by computers and want to build a career creating web sites, mobile apps or desktop programs. But even if the people don’t want to become a programmer for a living, it’s still worth for them to spend their time learning how to program. I mean this in all seriousness: if computers are at all a part of our life, then learning to program is going to improve our life. Learning to program can make you more productive, efficient and effective. Basic Elements of Web Development. These websites can then be viewed by anyone else connected to the Internet. It is relatively easy to learn, with the basics being accessible to most people in one sitting; and quite powerful in what it allows you to create. It is constantly undergoing revision and evolution to meet the demands and requirements of the growing Internet audience under the direction of the » W3C, the organization charged with designing and maintaining the language. HTML can be misused to add layout to websites. 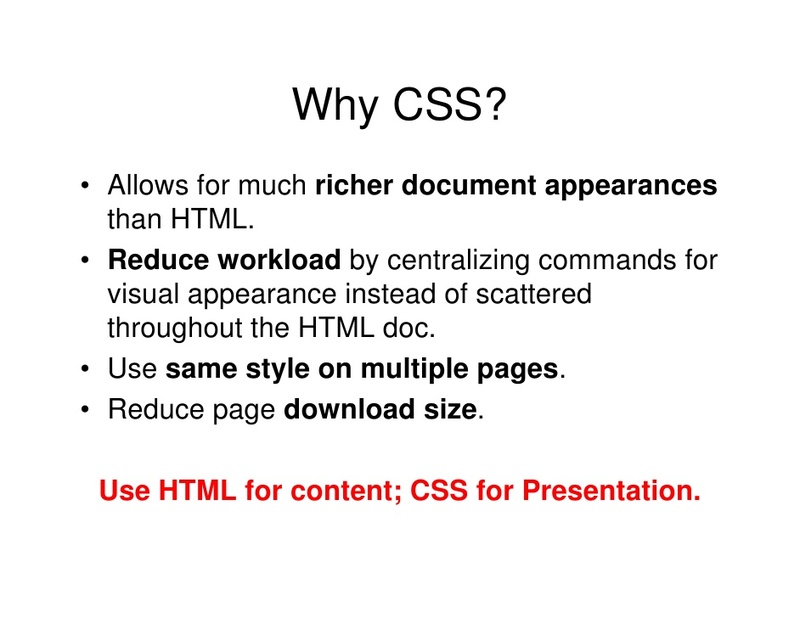 But CSS offers more options and is more accurate and sophisticated. CSS is supported by all browsers today. Back in the good old days when Madonna was a virgin and a guy called TED Berners Lee invented the World Wide Web, the language HTML was only used to add structure to text. An author could mark his text by stating “this is a headline” or “this is a paragraph” using HTML tags such as <h1> and <p>. As the Web gained popularity, designers started looking for possibilities to add layout to online documents. 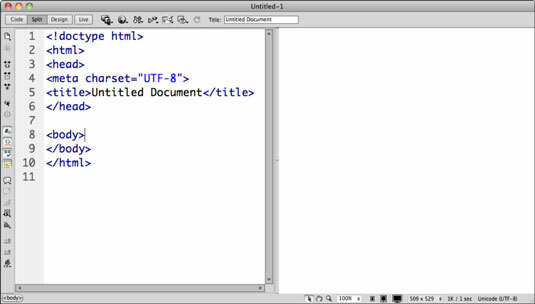 To meet this demand, the browser producers (at that time Netscape and Microsoft) invented new HTML tags such as for example <font> which differed from the original HTML tags by defining layout – and not structure. This also led to a situation where original structure tags such as <table> were increasingly being misused to layout pages instead of adding structure to text. Many new layout tags such as <blink> were only supported by one type of browser. “You need browser X to view this page” became a common disclaimer on web sites. apply different layout to different media-types (screen, print, etc. ); numerous advanced and sophisticated techniques. Once you’ve finished doing this, please return to this website and continue with the next homework.